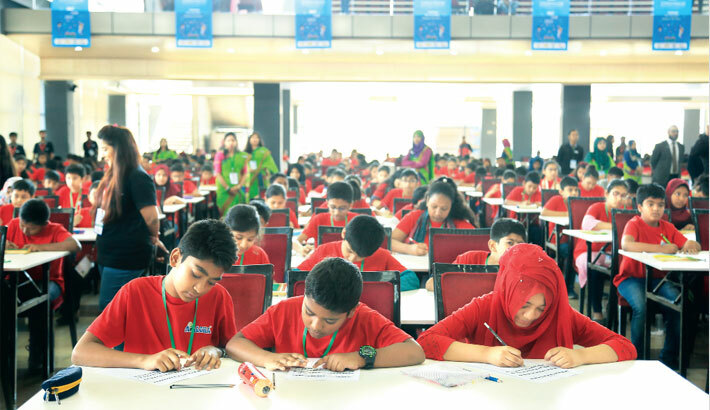 Eleventh National level Abacus and Mental Arithmetic Competition was held in Bashundhara International Convention Center (ICCB) in the capital yesterday. In the competition, about 600 students from 600 schools across the country and 100 students from India took part. Since 2008, Aloha Bangladesh has been organising this competition in Bangladesh. Cricket world cup launched for street children! Textile engineering colleges, challenges to overcome! Boxed or out of the box?